Latest in the range of new Suzuki models, the five door Ignis has finished a close runner-up in the 2017 World Urban Car awards, beaten only by the more expensive BMW i3. Held in conjunction with the 13th annual World Car Awards, the Urban Car category was instigated for the first time this year, in response to changing market trends. To qualify, vehicles had to be less than four metres long and suitable in design for daily use in an urban environment. He said smaller doesn’t have to be cheap, undesirable and unpleasant to drive. Quite the opposite. They were among the best value for money products on the market. The international jury comprised 73 top-level automotive journalists from 23 countries. 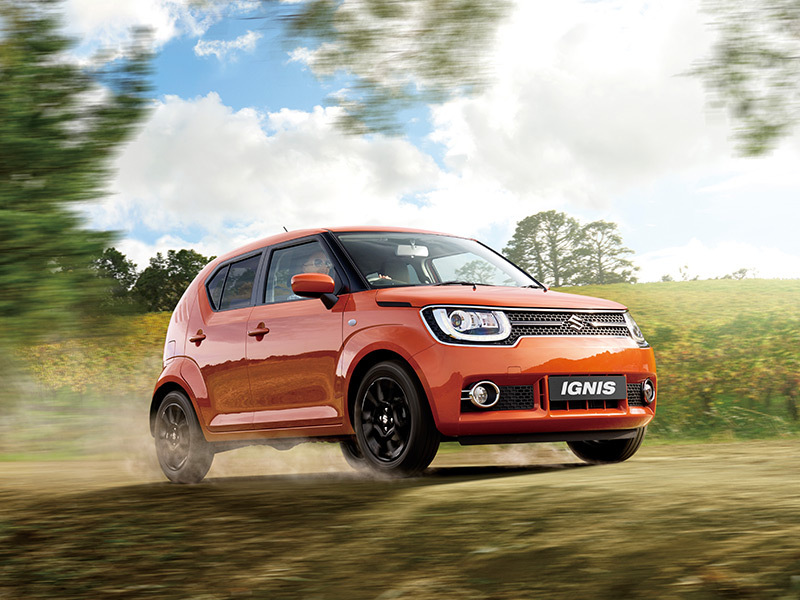 They each drove and evaluated new models and the Ignis was one of three finalists. Rutherford said Suzuki had seen off many rival motor manufacturers to become a World Car finalist, with both the Ignis and Baleno voted into the top five urban cars. New Zealand buyers have responded enthusiastically to the arrival of the stylish Ignis in February, with sales already 60 percent ahead of expectations. The design is winning praise for its spacious and distinctive cabin, excellent visibility, elevated seating, high level of equipment and ample luggage space, in spite of the compact dimensions. Buyers have also warmed to the availability of customisation, including interior trim colour accents and exterior highlights. The World Car awards are administered by a not-for-profit association. It is intended to compliment and not compete with existing national and regional car of the year awards which are inherently different in scope. Two versions of the Ignis are available in New Zealand, both powered by an efficient 1.2 litre four-cylinder, 16 valve, variable valve technology engine, and with the option of manual or automatic transmissions. Prices start from a recommended $18,990 plus on-road costs.